The Presentation Podcast Episode #48 Released Today! A new episode of The Presentation Podcast with Troy, Nolan, and Sandy is available today! 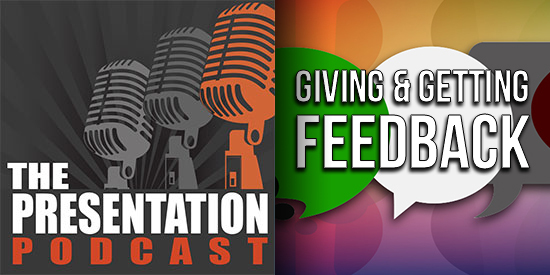 Check out the latest episode, #48 – Giving and Getting Feedback. There is an art to design project feedback, and often the success or failure of a project rests entirely on being able to give, and receive, feedback effectively. On this episode, Troy, Nolan, and Sandy focus on design feedback – for both the client and the designer. The Presentation Podcast Episode #53 Released Today! NEW Podcast on Presentation Design!! The Presentation Podcast Episode #55 Released Today!